We are excited to announce the release of new materials for our household toxics education program, Toxic-Free Child! 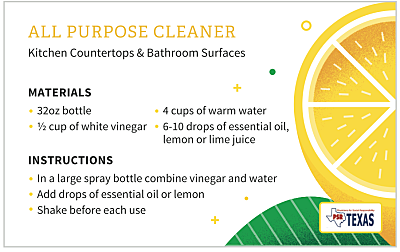 These new materials are available to be used in a range of provider settings and will help give young families the tools they need to make informed decisions about common household toxics like pesticides, flame retardants, lead, BPA, and those found in cleaning supplies. …and don’t forget our Toxic-Free Child “Healthy Kids” class handouts, in both English and Spanish! Because we’ve seen how effective this program can be, we want to make these resources available for free. All we ask is that, if you use these materials in your practice, please let us know! And donations to help support this program are always appreciated. Interested in having us offer your staff a training session on the Toxic-Free Child program and related materials? Let us know that, too. Here’s to healthier families and communities!